Initially I was planning to only track my progress by change in weight measured using my bathroom scale. I am glad I didn’t as I have since noticed significant fluctuations from day to day and even throughout the course of an individual day. On top of that, I had hoped to be losing fat while simultaneously building muscle so it would be very possible to maintain a constant weight over time. Which is where my Insanity before and after pictures come in. You see, the solution I came up with was to add additional methods of tracking my progress (and I suggest you do the same). What this means is a variety of body measurements in addition to weight, pictures and of course the results of my Insanity fit tests. I will be updating each of these metrics on the same day, roughly every second week when a new fit test has been completed. You can follow along with my fit test results and body measurements here. Pictures will be displayed below on this page. 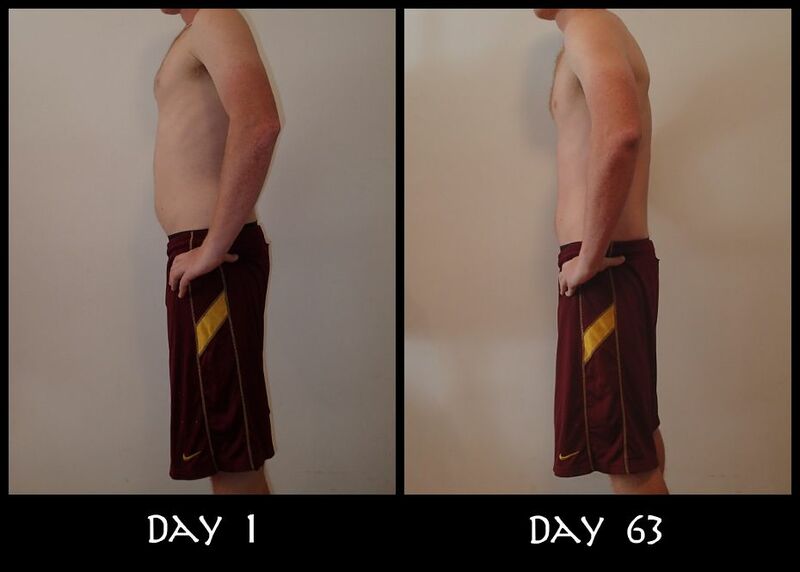 I have just completed the final fit test on day 63 and updated the pictures below. I have lost 10 pounds to date and more inches than I care to count anymore!Â In addition, I am also noticing an elevation in my energy levels. My assumption is that this has to do with the general state of my health, but there are so many factors that go into this (quality of sleep, weather, placebo, etc.) that I can’t credit this entirely to Insanity. If this is your first time visiting my blog, you can catch up on my journey so far with the posts outlined below. But if you are just here to check out my before and after pictures, keep on scrolling. 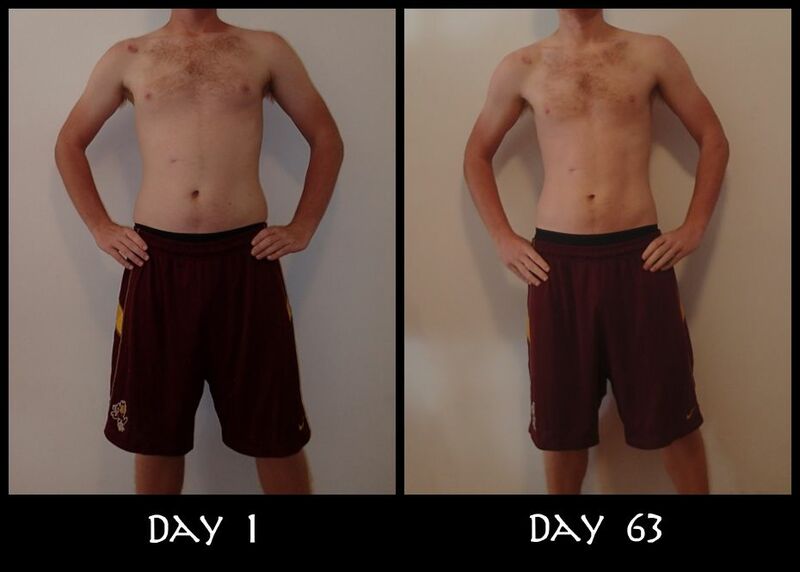 Here they are – the much awaited Insanity before and after pictures. They are definitely not as dramatic as most of the pictures used to promote Insanity, but as I mentioned I lost quite a few pounds and inches. * This before picture from the side was at a bad angle but I post it here for continuity. To those of you following me along my journey: would you be interested in submitting your Insanity before and after photos for display on my site? It is a great way to hold yourself accountable while providing motivation for others. If so, please get in touch through my contact page and I will get you up and running right here next to me. If there is enough interest maybe I can set up a page to simplify the process.